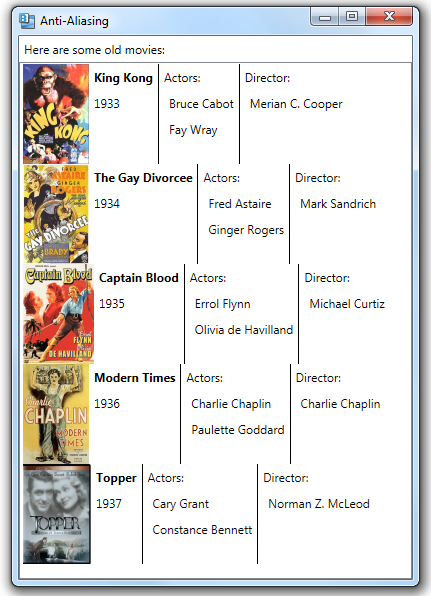 In talking about the SnapsToDevicePixels property, I used as an example a ListBox that contained a list of movies. Each entry in the ListBox had a number of data items related to the movie, including a thumbnail. Let’s look at how to create this in WPF. To start with, we need a class that stores information about an individual movie. We’re going to use data binding to bind to instances of this class, and we want the binding to update when elements of the class change, so we implement the INotifyPropertyChanged interface.